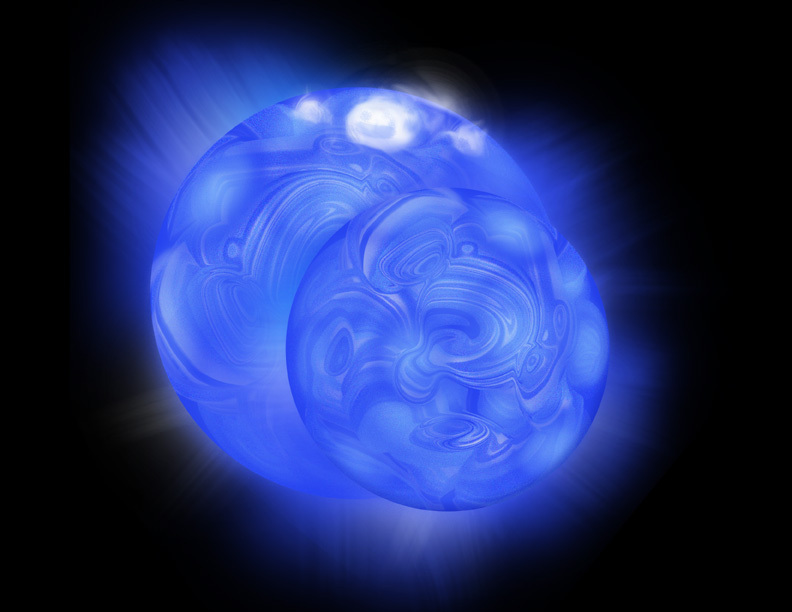 This artist's conception depicts the two closely orbiting stars of 44i Bootis. These two stars circle around each other at a rapid rate, passing in front of one another every three hours. The red arrow in the illustration indicates the direction that the stars are orbiting. 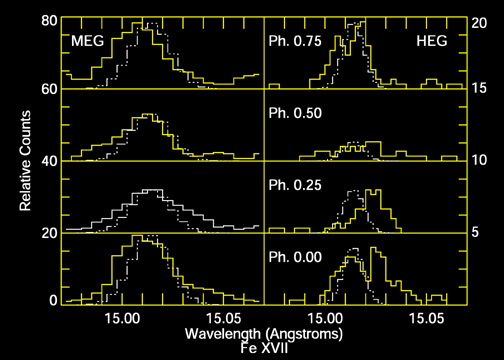 The plots to the right show Chandra data on X-ray emission from Neon ions. The 4 panels show the shift in wavelength at which the Neon X-ray emission peaks as the stars orbit one another. By using the Doppler effectthe same process that causes the frequency of an ambulance's siren to shift up and down as the ambulance approaches and recedesastronomers were able to pinpoint the location of the source of most of the X-rays. They found to their surprise that the large white spot on the larger star produces at least half of the X-rays from this system. In contrast, the X-ray active regions on our Sun tend to be near the equator. Coordinates (J2000) RA 15h 03m 49.3s | Dec +47° 39´ 14"